President Trump wants China to pressure North Korea over its nuclear weapons program. But will Beijing play ball? China wields huge influence over the North Korean economy, accounting for more than 80% of its smaller neighbor's foreign trade and serving as its main gateway to the rest of the world. "China is very much the economic lifeline to North Korea so, while nothing is easy, if they want to solve the North Korean problem, they will," Trump tweeted on Friday. He spoke with Chinese President Xi Jinping by phone late Sunday. 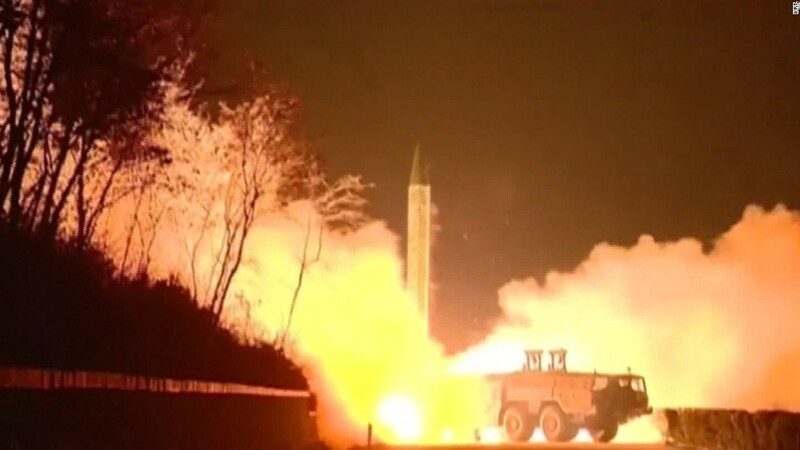 Experts say that to make North Korea reconsider its nuclear program, Beijing would have to take steps that put the survival of Kim Jong Un's regime at risk. That's further than the Chinese government, which wants stability rather than chaos in North Korea, is prepared to go. "Trump is basically shifting the burden of dealing with North Korea to China," said Tong Zhao, a fellow at the Carnegie-Tsinghua Center for Global Policy in Beijing. "But I'm not sure China is willing to take over that burden and exert enough pressure to threaten the regime." Some recent moves have been seen as signs of China doing more, with Trump saying last week that "nobody has ever seen such a positive response on our behalf from China." Beijing announced in February that it was stopping imports of North Korean coal for the rest of the year. The move against one of North Korea's major exports surprised some observers, but others said that it merely brought China in line with U.N. resolutions it agreed to last year. And even though China said its coal imports from North Korea for the first three months of this year more than halved, that didn't stop overall imports from rising 18%. A far more powerful lever at China's disposal is the oil it sends to North Korea through the pipeline connecting the two countries. Experts say that a prolonged stoppage would most likely cause the North Korean economy to seize up. "As a signal, cutting off the flow of refined oil to North Korea would be a clear one," said John Park, director of the Korea Working Group at the Harvard Kennedy School. There have been some suggestions from Chinese media and experts that Beijing might consider halting the oil supply if North Korea goes ahead with another nuclear test. Gasoline prices have reportedly spiked in Pyongyang in recent days, but the reasons for the sudden increase weren't clear. To really pressure North Korea, experts say China would need to cut off the oil supply for a long stretch of time, a move that would be too risky for Beijing. "It's unlikely to be sustained given China's policy priority of maintaining regime stability in Pyongyang," Park said. With Beijing reluctant to deliver any crippling blows on trade, Park says a top priority should be disrupting North Korea's networks in China for procuring materials for its weapons programs. He suggested it could take the form of a "coordinated effort" between Washington and Beijing, with the U.S. providing the intelligence to track down the companies and middlemen working with North Korea. But the time needed for such a program to work may not suit Trump. "It requires time and resources for law enforcement to track down these activities," Zhao said. "It won't be an immediate measure that has a big impact." 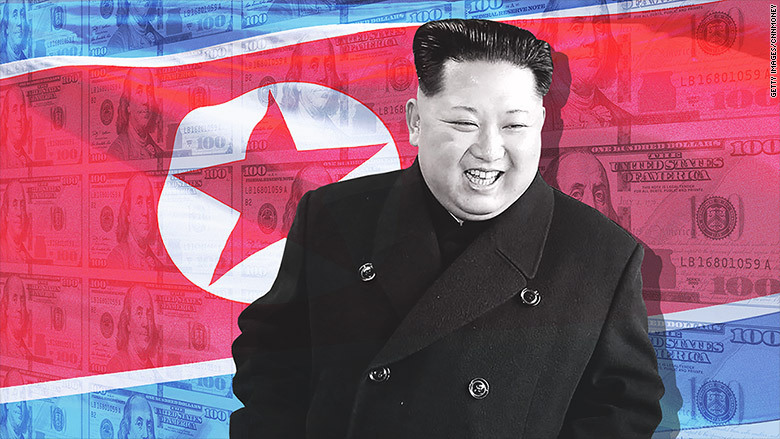 China and the international community could take other steps to pressure North Korea, such as banning its airline or expelling the workers its sends abroad to earn hard currency. But those moves would be likely to further infuriate Kim's regime rather than make it fear for its survival. "The North Korean regime is already upset," Zhao said. "They have been under extreme sanctions and isolation. I don't think additional ones would be sufficient to do the job."